Ever wonder what the next biggest conspiracy is? Ever yearn for a theory that could turn all that you know on its head? Well, yearn no longer because Saturn death cults, and the accompanying parts of the theory, are probably the most shocking views on Earth's history you've never heard of. We will explore the ten biggest and most shocking aspects of this theory. This theory suggests that perhaps Saturn was originally a brown dwarf star and that Earth was locked in a polar orbit with Saturn. 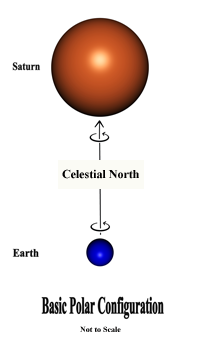 (Link 1) The gas giant is referred to as the original sun, the primordial sun, and the best sun. The conjunction between Saturn and Earth was a celestial polar configuration in which Saturn, as a brown dwarf, was locked at the northern pole with Earth. (Link 2) They moved in a spiraling nature upwards while traveling through space moving in and out of our current solar system. (Link 2) Eventually, Saturn would be pulled out of its conjunction and locked in its current position. Ever wonder if the universe is alive? Well, according to this theory the answer, in a sense, is yes. The idea is that plasma sheaths emanating from some celestial bodies, such as the brown dwarf Saturn, interact with solar heliospheres and electrical space currents. (Link 2) The result is discharged electrical activity that often strikes celestial bodies. Under this theory, the Earth's moon is pointed out as having been struck many times. The claim is that the craters we see there are from electrical strikes mostly instead of meteors. The planetary history of Earth has experienced and documented the fossil records with several extinctions. This theory takes this into account and divides Earth's history into several ages. (Link 1) The "Purple Dawn" is the original age in which large dinosaurs roamed our planet. We were still in our original conjunction with Saturn which emitted radiation frequencies that would have given the sky a lowly lit purplish hue. This was before our modern sun graced our skies. The "Golden Age" saw the rise of mankind on Earth and this was after our modern sun began to shine in our skies. (Link 7) This was the age of civilizations such as Atlantis and Mu which are alleged lost continents in our modern culture. 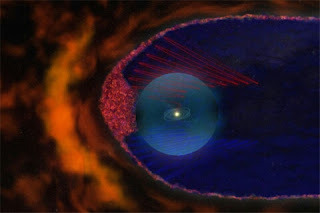 The nasty interactions between Saturn's plasma sheath and the sun's heliosphere would cause worldwide natural disasters which would result in the great deluge or great flood that would end this golden age. (Link 8) The "Silver Age" would follow when the survivors would pull humanity together again. This age saw the rise of priests and priest-kings who would eventually become the churches and blue-bloods respectively. (Link 9) A fascination with monitoring the astronomical movements of bodies became mainstream, as they hoped to foresee any future cataclysms like the great deluge had brought. The "Iron Age" encompasses today and modern society. The rise of industry and technology marks the iron age. The leftover aspects of the silver age's priestly era and the bronze age's war/global commerce era both permeate the iron age's industry/technology era. 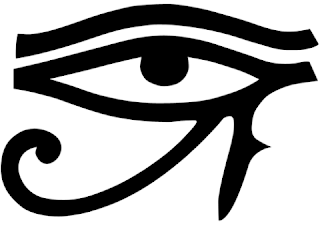 Throughout history, the all-seeing eye has been prominent in many cultures, particularly the Egyptian civilization. (Link 2) The origin and source of this eye are addressed under this theory. The "Saturnian" system was originally comprised of three bodies which included: Saturn, Earth, and Mars. 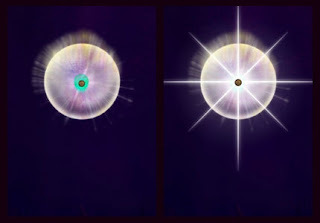 (Link 6) These three planets were always in an alignment in which Saturn appeared as a purple-hued sun and Mars appeared in the center of Saturn. This conjunction would have appeared as an eye in the northern skies on Earth. During the brown dwarf dominance, the Earth was covered in red vegetation and had a much denser atmosphere. The oceans would have been at a much lower level which resulted in more land being available to settle. (Link 2) The flares from Saturn would have initiated several extinction events particularly the dinosaurs. During the yellow dwarf dominance, mammals began to come above ground and evolve, which would lead to the rise of human beings. The vegetation began to turn green and the blue skies we know today began to emerge. The Saturnian system's metamorphosis from the "Golden Age" into the "Silver Age" deeply impacted mankind, particularly the great deluge that divides the two ages. The post-apocalyptic society of the silver age saw the rise of priests and religion. The Saturn death cult arose during this era with the main purposes of preserving the golden age's knowledge and monitoring the skies for hints of any new disaster. (Link 9) They did both of these through the building of large construction sites such as the pyramids of the world and even Stonehenge. Religious symbols also arose from the events of the Earth's early history. The eight-pointed star and Jacob's ladder are prime examples. (Link 9) The eight-pointed star emanated from the newly formed Venus in the original Saturnian system. The star would have been seen high in the early skies. This star has made its way into virtually every religion on Earth today. Jacob's ladder could have easily been the pillar of light that connected the electrical fields of Venus, Saturn, and Mars. The cross also came from these light streams and Jacob's ladder was this interaction of lights. Stellar cults were based around the stars in the sky and were typically God and Goddess based. The movement of the stars in the sky deeply drove the stellar cult development. Priests and the earliest astronomers came out of the silver age. During the "Purple Dawn" and "Golden Age" much of the sky was dark and the stars were hidden behind the dense, dark, and purplish atmosphere of Earth. (Link 1) As today's sun took dominance, and Saturn pulled away, the skies were brightened and the night skies were filled with stars. This change impacted human society and stellar cults. 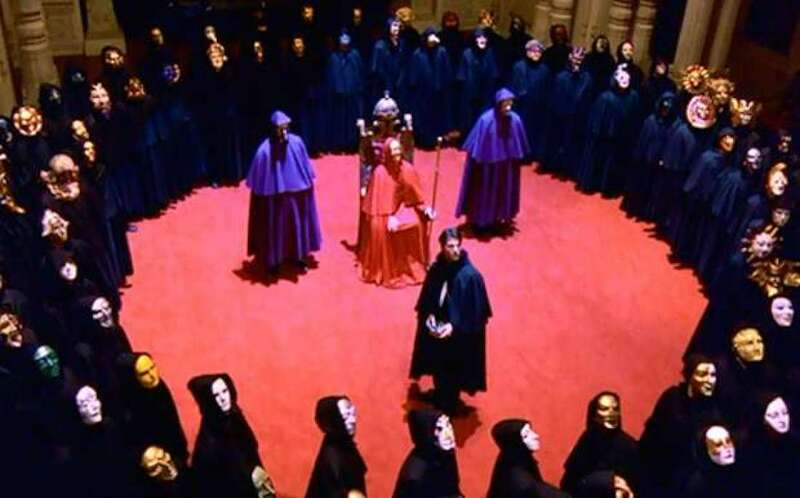 The Saturn death cult arose during this era and was later absorbed and imitated into and by other varying cults.